This month, Kelly and I are exploring this question over at Chickadee Road. 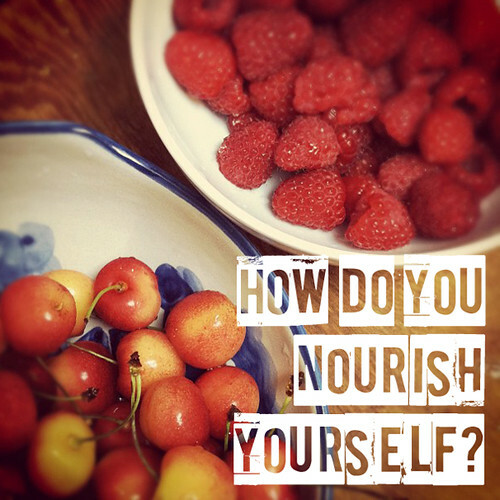 Head over to this post to share the ways you nourish yourself with all of us circling over there. We give each other such a gift when we share our stories and create space to learn from one another. Throughout the month we'll be sharing stories, recipes, guest posts, and other things inspired by this theme and we hope you'll come along.